Dallas native Jim C. Phillips joins the firm as Senior Associate, bringing impressive experience handling a wide variety of complex commercial litigation cases, as well as a keen aptitude for assisting clients with strategic business transactions. 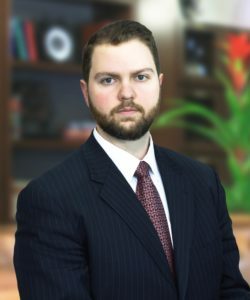 A graduate of St. Mary’s University School of Law, Jim began his career in San Antonio, later moving to Columbus, Ohio to work with the Isaac Wiles law firm while his wife, Dr. Rachel Kovac, completed her residency in veterinary oncology at The Ohio State University. We warmly welcome Jim and Rachel back to Dallas, and are delighted Jim is joining our practice.